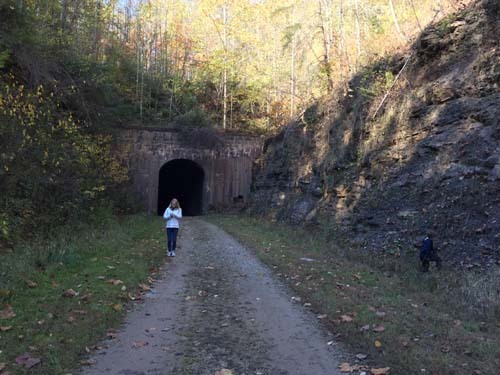 There is a legend about a young woman who haunts the old Baltimore and Ohio tracks just outside the town of Cairo, West Virginia. In 1910, a young engineer was making the 169 mile midnight westbound express run along the Baltimore and Ohio tracks starting in Grafton and heading toward Clarksburg and then, Parkersburg. When the engineer came upon the short stretch of railway at the entrance to Tunnel #19, in the light of the moon and headlights, he saw a woman in a pale dress with raven-colored hair and golden slippers walking along the tracks. Horrified he would hit her, he tried desperately to stop the train by throwing the brakes into emergency. He could not stop in time. The engineer would later report to watchmen at the Smithburg Tunnel about 36 miles west that he and the fireman jumped from the train, but a layer of fog on the tracks seemed to swallow up the pale lady. 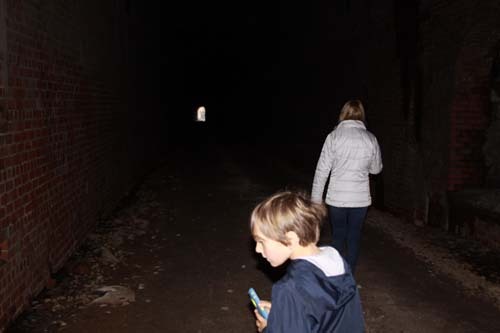 As rumors about the ghostly woman made their way through the railyards, another engineer by the name of O'Flannery scoffed at the tale and swore if he saw the woman at Tunnel #19, he would drive right through her. And such on a foggy night, she was there on the tracks as if waiting for the disbeliever. O'Flannery was good to his word and did not brake. He was quite smug about it until he got to Parkersburg and got the news that telegraphers along the route were reporting a young woman in a pale, white gown and golden slippers had been riding his cowcatcher the entire trip! For many years, railmen would recall seeing the ghostly woman on the tracks and hear her moans while they drove hard through Tunnel #19. You can visit the Silver Run Tunnel. 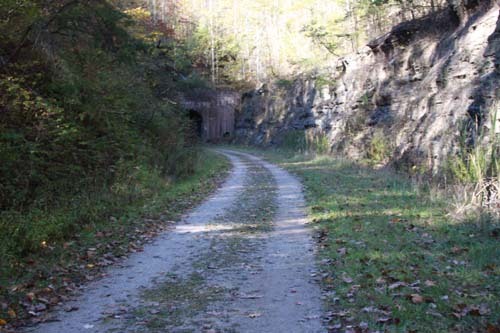 It is along the West Virginia Rails-Trails. Please make sure you follow their rules along the trail. Bring a flashlight! Go into Cairo (39.208700, -81.157362 ) and then place this GPS code: (39.20768, -81.19665) into GPS. Honestly, if you don't, you'll be on old roads best suited for ATVS. But the road in Cairo will lead out of town along two steel bridges and then a thin gravel road called Silver Run Road. The pull off is right here on the left of the trail and has room for one car. Walk south (away from Cairo) along North Bend Rail Trail about 10 minutes hike on gravel. Or you can park at the pull off in Cairo and walk the 2-3 miles to the tunnel.